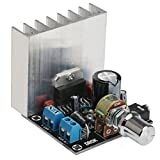 This thread is not related to Mysensors, but I would to take advantage of having great comunity to share idea arround Multi Room audio. My original idea was to have abilities to play any music anywhere with a multi room option. My goal was to have this for a good price without sacrifice the sound quality. After some reseach I decide to go with the Squeezelite environement running on a Pi, and adding an I2S audio Dac. it was pretty straight forward, and tons of tutorial available did helps a lot. On the main room, I wanted to have a powerfull speaker with a touch screen interface to manage all speakers. I'm very happy of this "Main" speaker. it work like a charm, it run a modify Raspbian for touch screen support, and squeezelite/Jivelite. So after that, I wanted to have smaller version for all others rooms. I decide to buy some cheap bluetooth speaker and add a pi inside with a Dac. Small speaker satisfy me also, they run PiCoreAudio, the sound is defenetely worst compare to the main one, but it's really acceptable for me. Regarding the budget, all included the main speaker cost me less than 100€ and the small one 50€ each. Very cheap for a multiroom solution that can be control by any device included the Home Automation Controller. So next step could be sound input for the voice regonition. Did you guys have some background on it ? 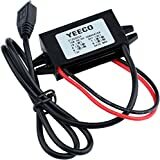 I would like something very responding and I don't want to use any external STT engine. I read some post regarding the Jasper project. what do you think about it ? Regarding sound input do you suggest special mics ? is any STT engine exist with Client/Server mode ? Nice project! I was doing something similar about 2 years ago. I used a raspberry and installed a software on it to get airplay support. Worked pretty well too. At the moment I think I would use chromecast audios + cheap/self build speakers. I have heard of jasper too and while its not on a siri/google now level it seems like it isn't bad either. I haven't had the time to test it myselft (yet) though. Very cool stuff you are doing here. I have been messing with my Media Center and ways of getting all this media played easily anywhere whether it is movies, TV shows or music for several years. I also wanted all my media to be stored in a single place and be available not only in the house, but also anywhere I have internet access. Here is most of what the latest version look likes. I currently have two Raspberry Pi running Kodi in my office and Family room. I have a third Raspberry Pi running MySQL to store the common media's meta data in for both media centers. This is great stuff. One of them is my DNLA media server, and I use Kodi to setup the connections to the network shares on my NAS for use in the DNLA server. About 2 years ago I put together the following. I have one of these in the master bedroom and the backyard. They have been working very well. A case that works with both of these. And this is how I made it all work. The other part of my adventure has been a BubbleUPnP server and BubbleUPnP android app on my phone. The sever brings some additional features. Secure access to my media from the internet. It enables you to create a second OpenHome DNLA render for every one on your network. This lets you queue up your music or videos using your phone and be able to leave to go get some beer during the party and not loose the music. Re-encode on the fly my Blu-Ray quality movie files to a smaller size so I can watch them remotely through via internet. I am right in the middle of my next generation Music rendering adventure. It will be using Chomecast Audio. You are now able to group more then one of these together to be able to play the same music in multiple rooms for very little money. I will be connecting one of these to my stereo in my office and family room. I will be putting something close to the following in the living room, backyard and side yard. The BubbleUPnp app on my phone and the BubbleUPnP server app has added additional features to the Chromcast Audio to make this even better. 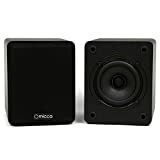 http://www.amazon.com/Micca-COVO-S-Compact-Bookshelf-Speakers/dp/B00N8265I8?ie=UTF8&psc=1&redirect=true&ref_=oh_aui_detailpage_o05_s00. These will be used for a couple of them. Good luck everyone on your DIY adventures.